What Else Do You Grow When You Garden? Last month I wrote an article about Why Does Your Garden Grow and shared with you some of my gardening love and how I came to love the hobby so much. Every time I admire our flowers, pick fresh produce or cut some herbs to use while making dinner, I remember all of our family traditions of gardening and hold them close to my heart. It's such a great feeling to "Gro Something Greater" because when you garden, you truly do grow more than just plants. Now that spring is here and the unofficial start of summer has come and gone, how is your gardening coming along this season? Since we've moved, it's been so nice to have a real yard and space to grow plants and flowers again. 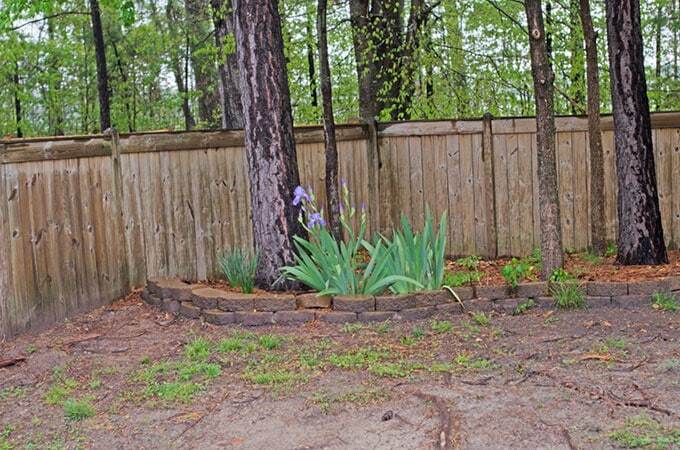 This spring I have been really enjoying several of the plants that were already here when we moved in like daffodils, azaleas, and irises. When we first moved in, the back yard was a bit of a desert, so our first gardening goal was to get it to look a bit more lush. With some seed and regular watering, the yard now looks much better. 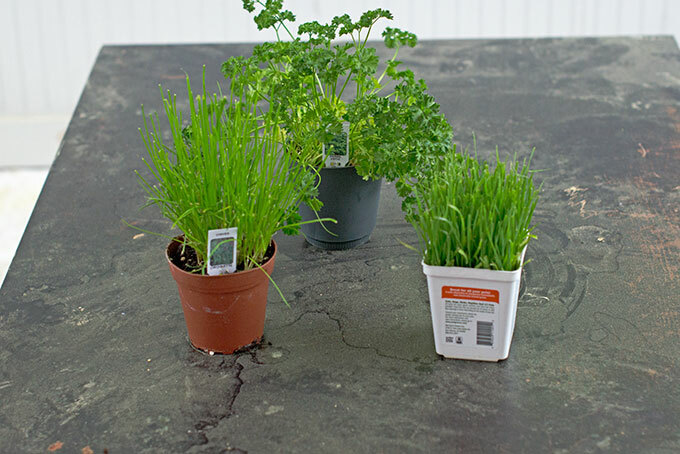 My next task has been to start growing herbs again since I like to cook so much, along with a planter of cat grass and cat nip because our cats really enjoy trying to eat almost any plants we get and I want them to have something safe and healthy to snack on. In fact, we're headed to our local home improvement store this weekend to pick up some planter boxes and Miracle-Gro planting soil because I just got some more herbs yesterday and the ones I've had for a couple weeks have been growing like weeds and really need larger pots. I really enjoy using Miracle-Gro because it takes out so much of the guess work. Back when I was growing up, we had several raised beds and, to say the least, I didn't really enjoy mixing up top soil, manure and other fertilizer together. With Miracle-Gro I can just buy the type I need and not really have to worry about much more than just keeping the plants regularly watered, especially through our hot and sometimes dry summer. I also really enjoy using planters and pots to grow herbs and other produce in because you can easily move them around, not have to break in the group, and my favorite part, not really have to worry about weeds. Instead, I can focus on continuing to garden for enjoying the memories, the fun, sharing with others and bettering our health. Are you doing any gardening this season? Have you implemented any new tips to share? Don't forget to share your personal gardening stores at grosomethinggreater.com too! I truly enjoy gardening and have been doing so most of my adult life. I really love growing roses, black-eyed-susans, coneflowers, petunias, peonies and bearded iris. I started something a little different this year. I wanted to grow a poppy garden. I love poppies, but never had luck with them in the past. This year wasn’t much different. I have tried everything from slug control with beer to miracle gro moisture control soil. I started out with 8 plants and only have 2 left. I think it’s just too hot here in SC for them. I wish I could bring them inside or think of another way to grow them better. I just don’t know what to do. I actually wanted to do cherry tomatoes again in topsy turvys this year. I better start soon! I’ve used this before, great product. We have a HUGE selection of things we are growing this year. It’s very exciting. From corn and broccoli to pumpkins and watermelon and about 10 other things. I can’t wait! We are using miracle gro in our garden and are growing strawberries, tomatoes, peas, corn, broccoli, pumpkin, watermelon and squash. I want to start a garden so badly, but I’ve never done it before and I’m a little intimidated, but if I do manage to get one started this year, I’m going to do container gardening (In the big silver tubs) and do a few veggies, strawberries, and a few other things. Oh, and catnip for the cats, because nothing is more fun than watching our two fur beasts after a go-round with a catnip bag. Hopefully I can grow it and not kill it. I always love a great gardening project. Yours turned out really well. Thanks for sharing. We have been quite busy working in our garden so far this season. I love getting out in my garden and it is inspiring seeing the neighbors all working in the yard at the same time. I don’t have anything growing right now, but I do plan to get a few herb plants started in the next week or so. The garden is so important to me. It sort of helps make a house a home. I’ve been using Groables to grow herbs, and they’re doing really well! I finally have all my planting done. Now it’s on to growing and weeding. I love my garden and I love gardening! Miracle Gro has been a lifesaver with the hot Texas weather! I love gardening… but our currently location/rental makes growing a garden challenging. I love working in the Garden! It is funny how relaxing hard work can be!